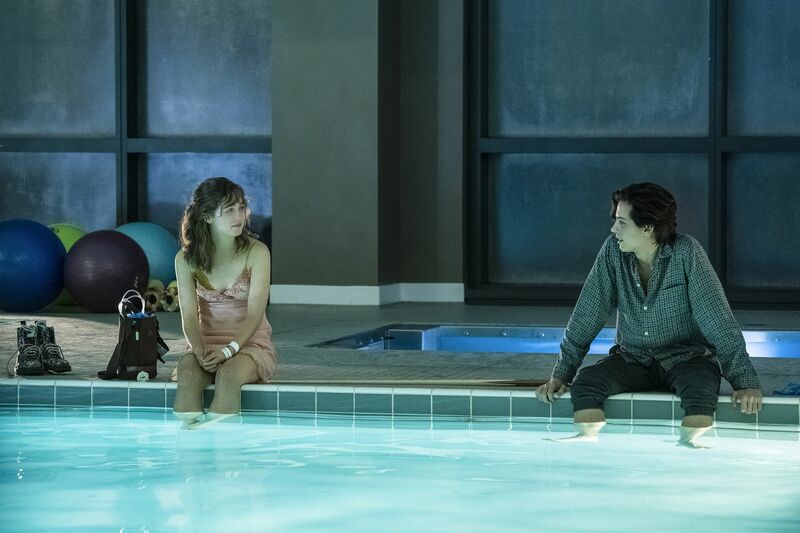 Five Feet Apart aims to be much more than a film about teenagers suffering from a chronic illness as it tells the unique story about young love. Five Feet Apart is the feature directorial of Baldoni, an actor who is best known for playing Rafael Solano on The CW’s Jane the Virgin. The film follows 17-year-old cystic fibrosis (CF) patient Stella (Haley Lu Richardson) as she spends most of her days residing in a hospital and living her life according to a daily routine. This all changes when she meets Will (Cole Sprouse)—a handsome young man who also suffers from CF, a rare and chronic genetic disorder that affects the exocrine glands. He ultimately leads her to want to test the “six feet” apart rule that prevents CF patients from contracting each other’s germs and risking death. Baldoni’s initial pitch for the movie included for the concept to be explored in a book first, which author Rachael Lippincott wrote. The teen illness love story is no new concept in cinema. Shailene Woodley’s The Fault in Our Stars (2014), Mandy Moore’s A Walk to Remember (2002), and Amandala Stenberg’s Everything, Everything (2017) are just a few examples of this. While the film features characters who suffer from cystic fibrosis, Baldoni’s movie is about much than that as the illness is only one part of these characters—just like with real-life CF patients. Unlike cancer, cystic fibrosis hasn’t been properly explored in film before. Baldoni, who has friends that suffer from the genetic disorder, aimed to make sure CF was portrayed as accurately as possible in Five Feet Apart. Baldoni went to great lengths to ensure accuracy in depicting the illness onscreen, even consulting those familiar with CF to approve key aspects of the film. He said it “was as important as the movie” to make sure CF was depicted as precisely as possible. “I became a bit obsessive compulsive about it because the responsibility was so important to me as these [patients] have never been represented accurately on TV and film. I wanted the first time to be a good experience and create conversations,” he said. Five Feet Apart hits theaters on Friday. Jane the Virgin returns for Season 5 on Wednesday, March 27 at 9 p.m. ET on The CW. Next articleReport- When Can You Download on PS4 & Xbox One?